The 2012 AMSAT Annual Meeting and Space Symposium will be held in Orlando, Florida on the weekend of October 26-28, 2012 at the Holiday Inn, Orlando Airport Hotel. To help you plan your trip to Orlando the 2012 Symposium Committee has posted a high-level schedule of the weekend's events. Watch the AMSAT Symposium Web Pages for the latest information. There are six candidates running for the AMSAT-NA Board of Directors. Three of the candidates are current members of the Board whose term expires this year. Ballots will be mailed to the membership by July 15th, and must be received at the AMSAT-NA Silver Spring, MD office no later than the close of business on September 15th, 2012. The latest news from the F-1 CubeSat Team, posted on their website blog and on the AMSAT-UK web with additional photos reports that the satellite's flight safety review is complete and the FSpace team together with their partner NanoRacks LLC has satisfied the technical requirements and standards set by the launch vehicle provider. F-1 CubeSat is ready for its scheduled launch in July 21, 2012 from Japan. If everything goes according to plan, the F-1 CubeSat will be delivered to Japan by the end of June. Then along with four other CubeSats (RAIKO, WE-WISH, FITSAT-1 and TechEdSat) F-1 will be loaded onboard HTV-3 “Kounotori” transfer vehicle for integration with the JAXA HII-B launch vehicle. These CubeSats will remain aboard the ISS until September, 2012 when Japanese astronaut and radio amateur Akihiko Hoshide KE5DNI should deploy it into space from the ISS using the Kibo robot arm. F-1 carries two Yaesu VX-3R transceivers using 145.980 and 437.485 MHz. The FSpace team are offering the public a chance to send their name/callsign and a message into space onboard the F-1 CubeSat. You will also be presented with a certificate! Video and presentations from the 1st Interplanetary CubeSat Workshop, held in and around MIT and Boston on May 29-30 are available for downloading . Copies and videos of all the presentations, posters and ancillary sessions can be found by clicking on their titles. Please note that this conference was an open conference and did not wish to discuss information restricted by ITAR. U.S. citizens and permanent residents were responsible for ensuring that technical data presented was not restricted by ITAR and that ITAR controlled information was not discussed with non-U.S. citizens. 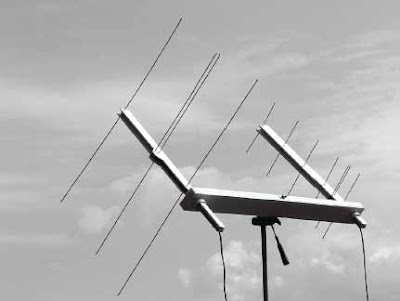 AMSAT-UK and AMSAT-NA member Dave Johnson, G4DPZ, has been using the Raspberry Pi to run amateur radio satellite software. The £22 ($35) Model B Raspberry Pi is a credit-card sized ARM-based computer board that plugs into a TV and a keyboard. Based around the 700 MHz ARM11 processor the board has 256 MB SDRAM, two USB ports, Ethernet with composite and HDMI video outputs. Low-level peripherals are GPIO pins, SPI, I²C, I²S and UART. It was developed in Cambridgeshire by a UK registered charity, the Raspberry Pi Foundation, which exists to promote the study of computer science and related topics, especially at school level, and to put the fun back into learning computing. Dave’s Raspberry Pi runs Debian Squeeze with Xwindows and is accessed using VNC over his shack network. The first amateur radio application he got running was the GPredict satellite tracking software, thanks go to Alex Csete OZ9AEC for making such a portable implementation. Dave found the sofware and updates of the Keplerian Two Line Elements from the Internet worked perfectly. More information about the Raspberry Pi can be found on-line . GPredict free real-time satellite tracking and orbit prediction software can be found on-line . See also AMSAT-UK web for photos and additional information about the Raspberry Pi. Nick Pugh, K5QXJ posted a video recorded during an AubieSat-1 pass after its recent on-orbit reconfiguration. A video of the AMSAT-UK FunCube Dongle receiving the HORYU-2 Satellite is posted on-line. You will also find links describing the satellite and a link to software for telemetry decoding. VE7BQH has just updated his 2m and 6m antenna comparison tables and provided additional information on each antenna. The changes are explained by him along with links to both text and spreadsheet versions of the tables. On Wednesday, June 6, students attending Kawatinagano Higashi Junior High School in Kawatinagano, Osaka, Japan took part in an Amateur Radio on the International Space Station (ARISS) contact with André Kuipers, PI9ISS on ISS. At the beginning of the contact the school was experiencing a power blackout, but recovered in time so that all children were able to ask their questions. The event supplemented lessons about space and the ISS. Astronaut Jeannette Epps took and passed her amateur radio license exam last week and was given the callsign KF5QNU. She is not assigned to any future ISS expedition crews at this time. In addition to regular membership, AMSAT offers membership in the President's Club. Members of the President's Club, as sustaining donors to AMSAT Project Funds, will be eligible to receive additional benefits. Application forms are available from the AMSAT Office.